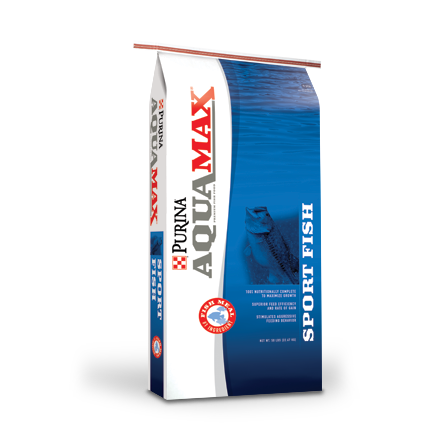 New Purina® AquaMax® Sport Fish MVP is a multi-variable particle product with nine different sized extruded nuggets designed with both Sinking and Floating action. New MVP helps expand the feeding trough vertically to feed a greater percentage of different sized fish in your pond helping smaller fish grow. Formulated to be 100% nutritionally complete and developed by professional nutritionists and fish experts it just might be the most valuable pellet you will ever feed your fish.